Today I find a beautiful and easy use RDA & Mod from Avidvape. The Avidvape Ghost Inhale is an innovative RDA tank designed for dual coils building with an integrated screw clamp post, which could protect the coils efficiently and fixed the coils while you screw your coils into the screw holes. 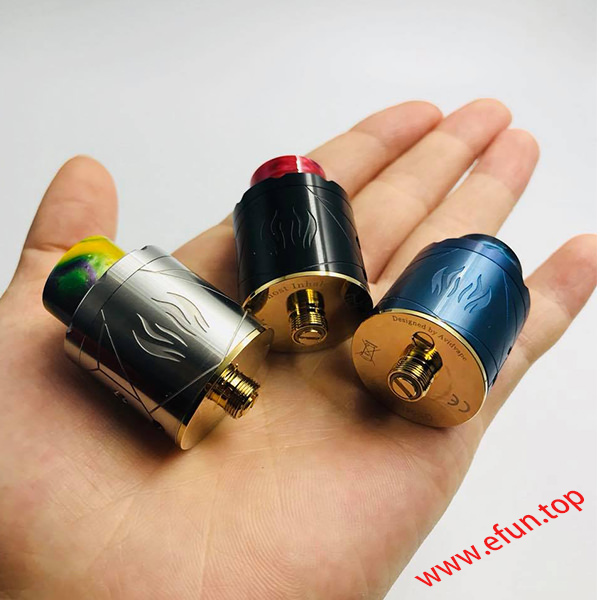 Along with the adjustable upswept bottom airflow holes and two side airflow holes, the Avidvape Ghost Inhale RDA will bring an excellent vape with the best flavor and optimal clouds to you. 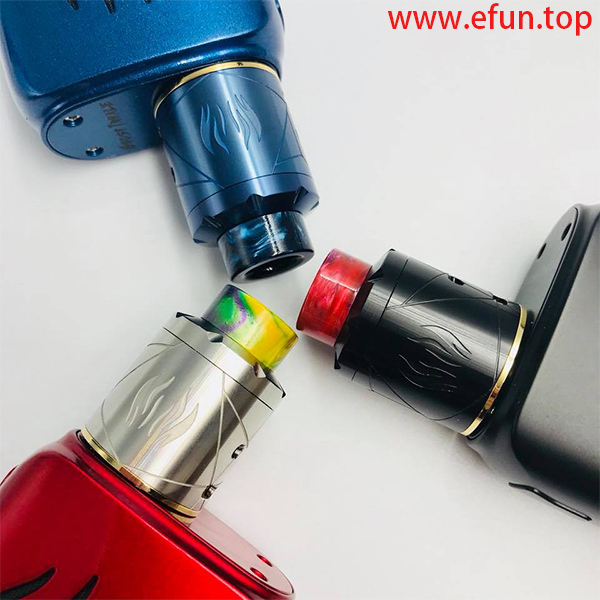 What's more, the 510 resin drip tip will increase the vape feeling and make the Ghost ergonomic and attractive. 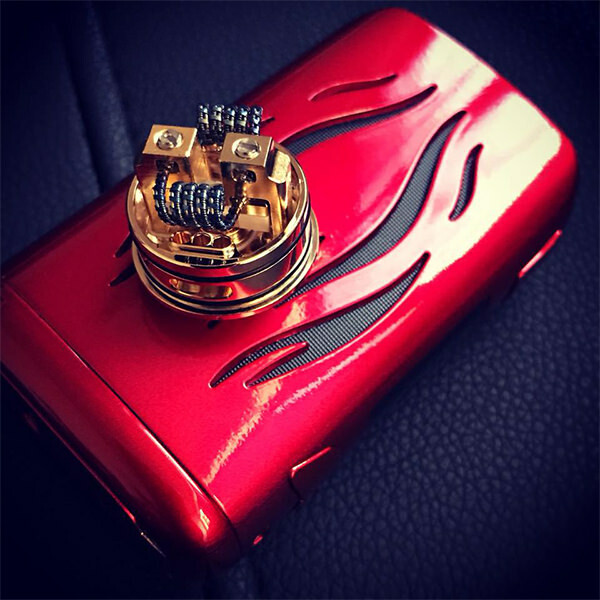 The gold-plated squonk pin can make the Ghost Inhale RDA be adapted easily with other kinds of squonk MODs. Just grip the Avidvape Ghost Inhale RDA for an amazing vape! 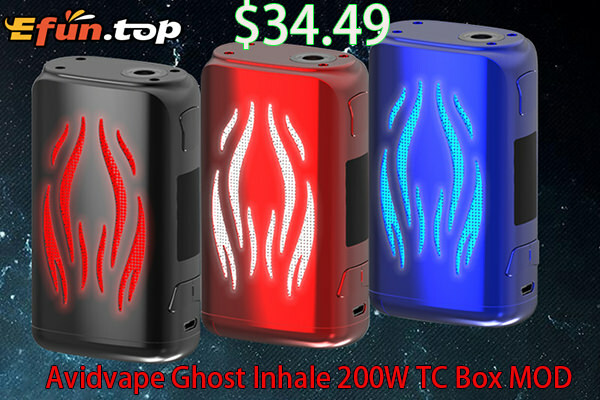 The Avidvape Ghost Inhale 200W MOD is a strong and portable TC Box MOD with attractive colors and ergonomic design. With the unique 2 sides sparkling lighting and 0.96 inch big colorful screen, the Ghost Inhale will bring you an amazing visual enjoyment. 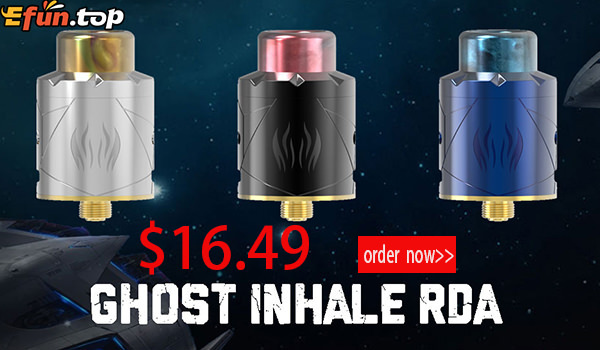 Powered by dual 18650 batteries with advanced chipset, the Ghost Inhale MOD fires up to 200W max output with powerful and stable VW/ TC/ BYPASS/ VPC mode. In short, the Ghost Inhale 200W MOD is definitely a great vaping device for vapers.